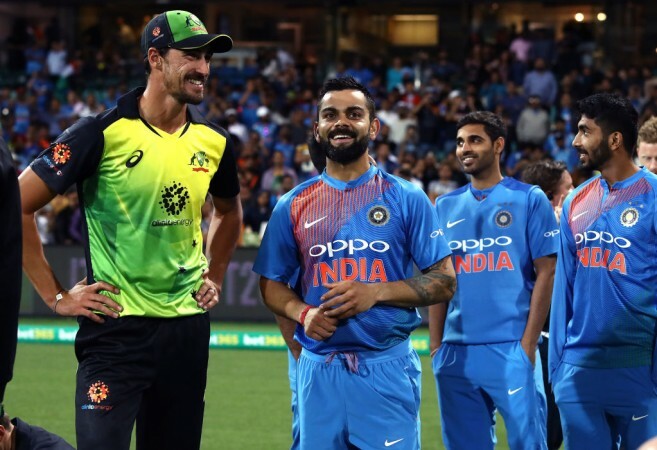 Michael Clarke urged the likes of Aaron Finch, Chris Lynn and Glenn Maxwell to watch Virat Kohli and learn how to score runs without having to hit big shots all the time. Virat Kohli was back at number 3 and back to his best for India in T20s as the captain steered his side home with panache in a tricky run chase at Sydney, like he so often does. The 30-year-old was, up until Sunday, having a very forgettable 2018 with the bat in T20 cricket. This was largely due to his decision of sending KL Rahul in to bat at number 3 while pushing himself down to number 4. But to the delight of every Indian fan Kohli walked out at the fall of Shikhar Dhawan's wicket in the 6th over of the Indian run chase and despite initially struggling to middle the ball, he ended up with an unbeaten 61 off 41 balls, hitting the winning boundary in the final over of the innings. 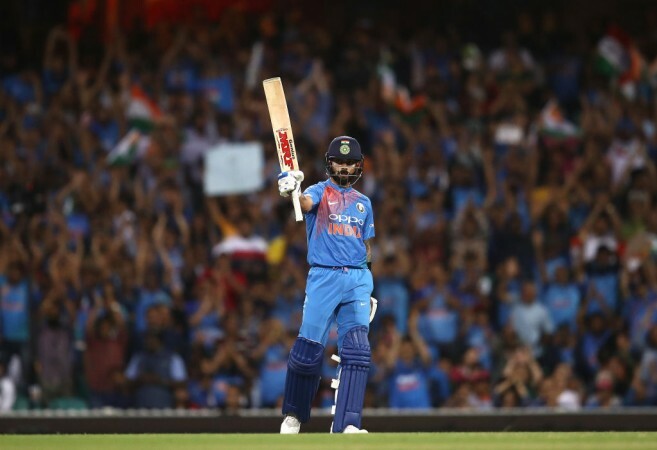 Kohli's innings – in the calm presence of Dinesh Karthik during the death overs – meant that India shared the spoils of the three-match series, much to the delight of the largely blue Sydney crowd. But the biggest adulation of the night came from former Australian captain, Michael Clarke who said that the Australian batsmen should learn the art of batsmanship from the Indian captain. "I said on air at the time [when Kohli reached his half century] – young boys and young girls watching Virat Kohli bat – don't just watch when he hits boundaries. Watch what he does in between; watch what he does at the start of his innings. That's what makes him so good in all three formats," Clarke said during the post-match show on Extra Innings. "It's not just about fours and sixes. Aaron Finch, Chris Lynn, Glenn Maxwell watch what Virat Kohli was doing out there in the middle today. When you can't hit it four or six, you can still score. Run it to the legside for two, place the ball in the gap for one. Virat just read the play; and I don't think he's in his best form right now." Clarke went on to mention that Kohli's innings today, despite not being at his glittering best, showed that he is a class player. "I think he got better as that innings went on but it shows that's a class player – when you can make runs like that without being at your best." Clarke's analysis of Kohli was absolutely spot on and this innings once again showed why he should bat at number 3 because his style of accumulating runs with minimal risk keeps the scoreboard ticking which keeps the required rate in check. His ability to manoeuvre the ball into gaps is unmatched which means he hardly plays dot balls; and when a bad ball comes its way, he has the ability to find and clear the boundary ropes, thus maximizing every over. Kohli will hope that his batting compatriots can show similar class as India now get ready for the real test of the summer – the four-match Test series starting at Adelaide on December 6.